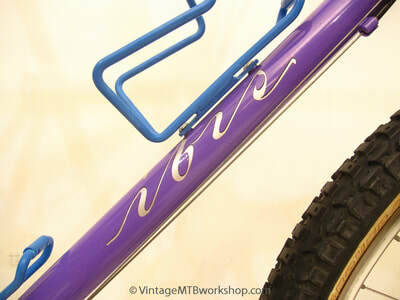 Scot Nicol, the founder of Ibis Cycles, was quick to incorporate the best innovations to come out of the Bay Area mountain bike scene into his custom and production bicycles. 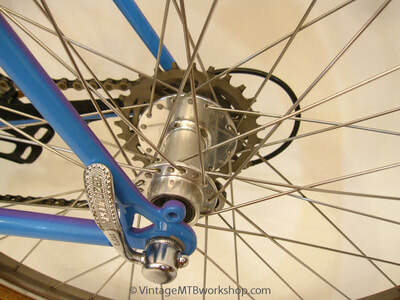 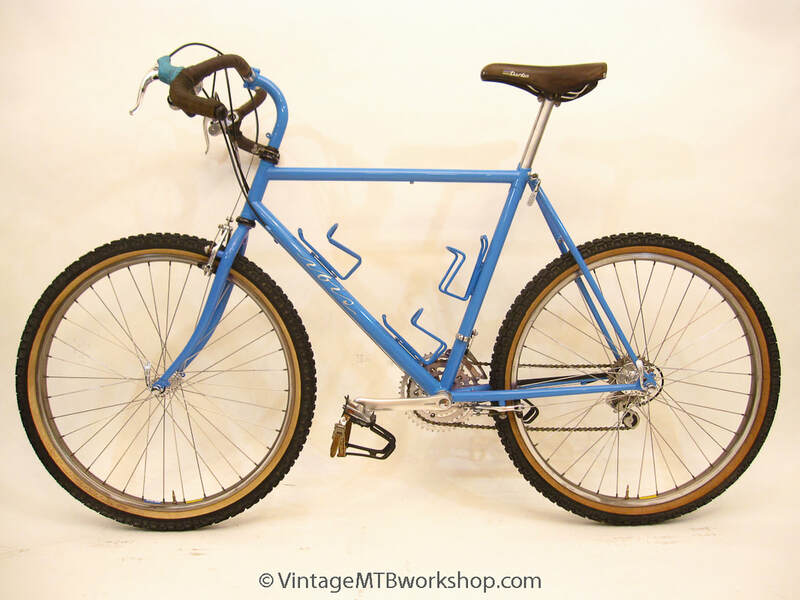 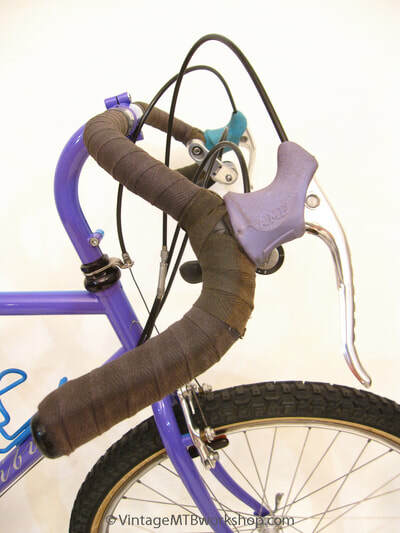 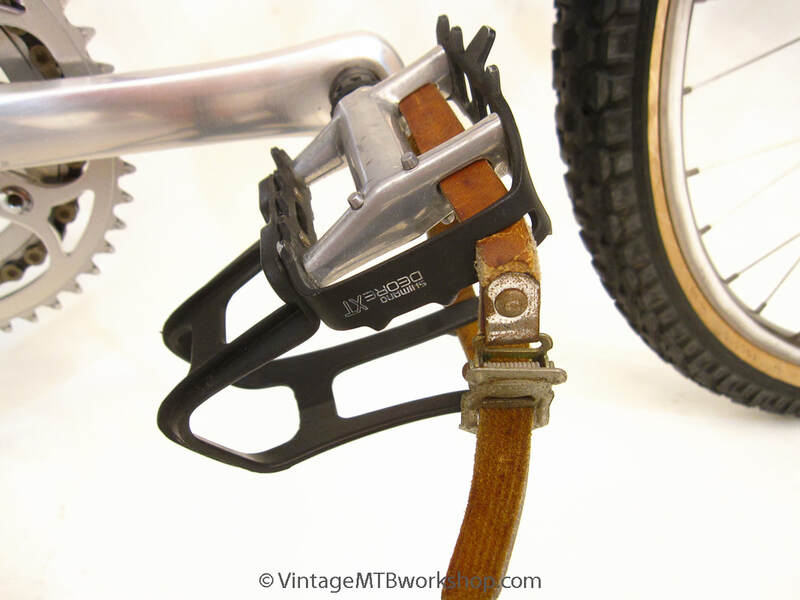 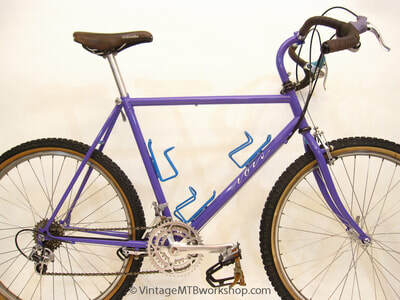 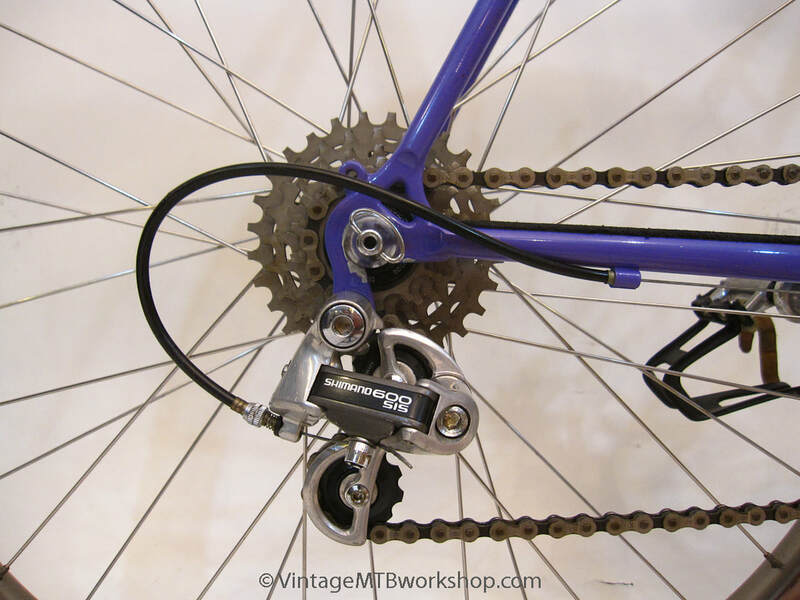 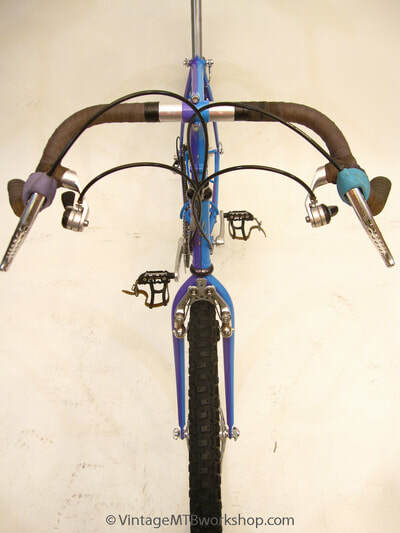 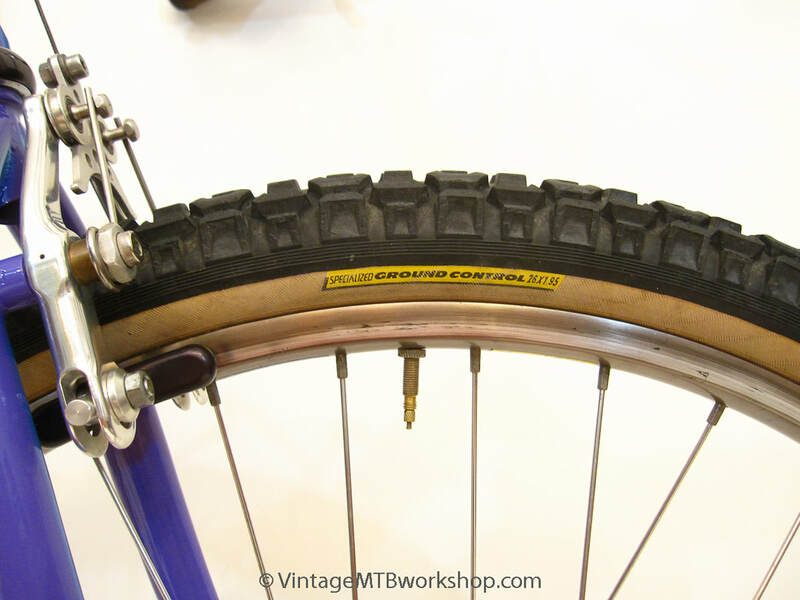 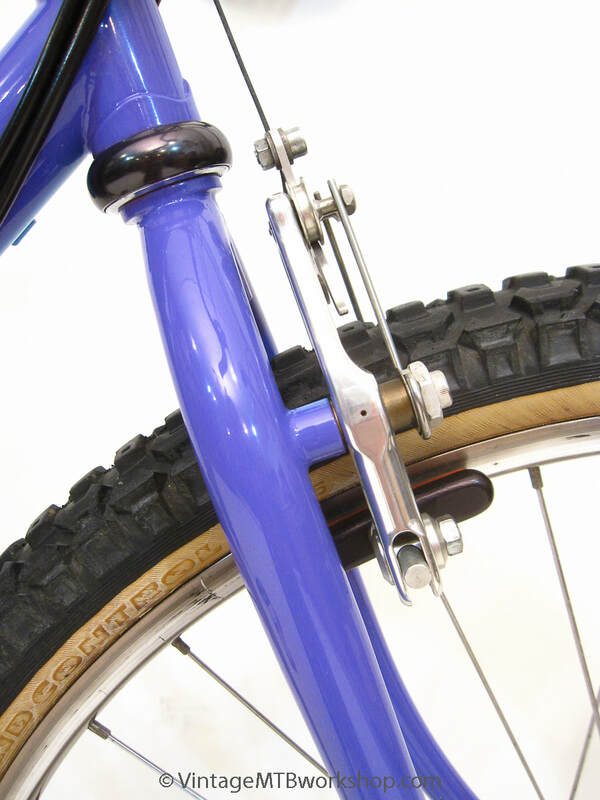 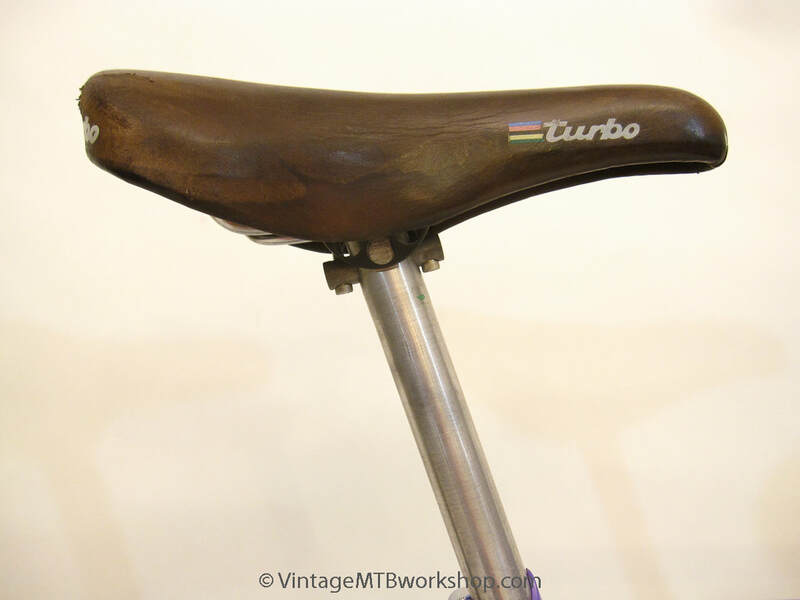 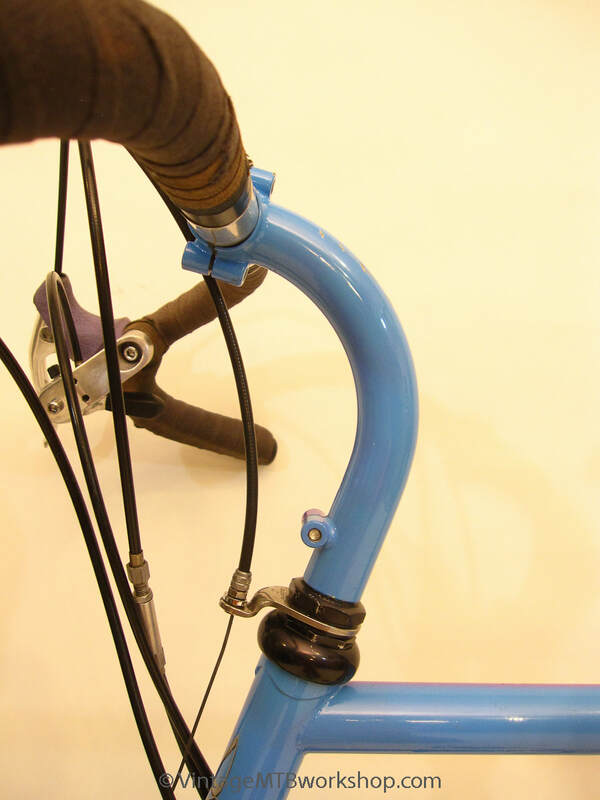 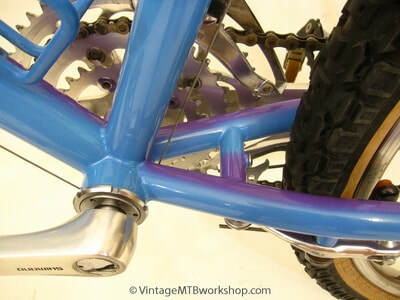 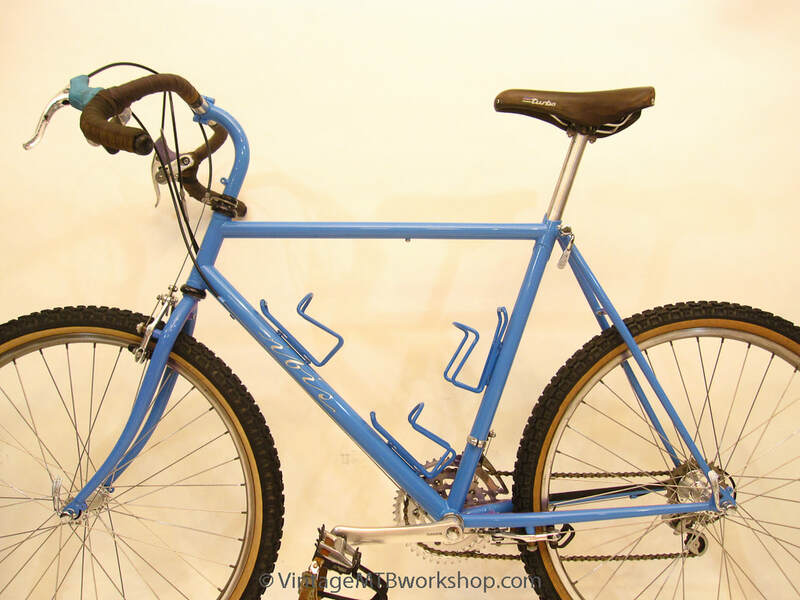 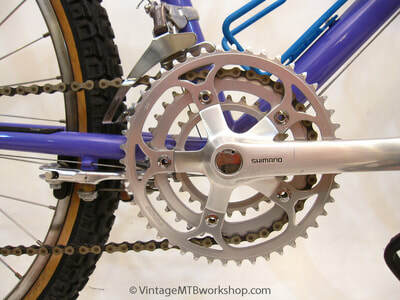 This included fast-back stays championed by Tom Ritchey; roller-cam brakes, modified Hi-E hubs, and drop bars developed by Charlie Cunningham; Multimount shifters by WTB; and uncrown forks from Eric Koski. 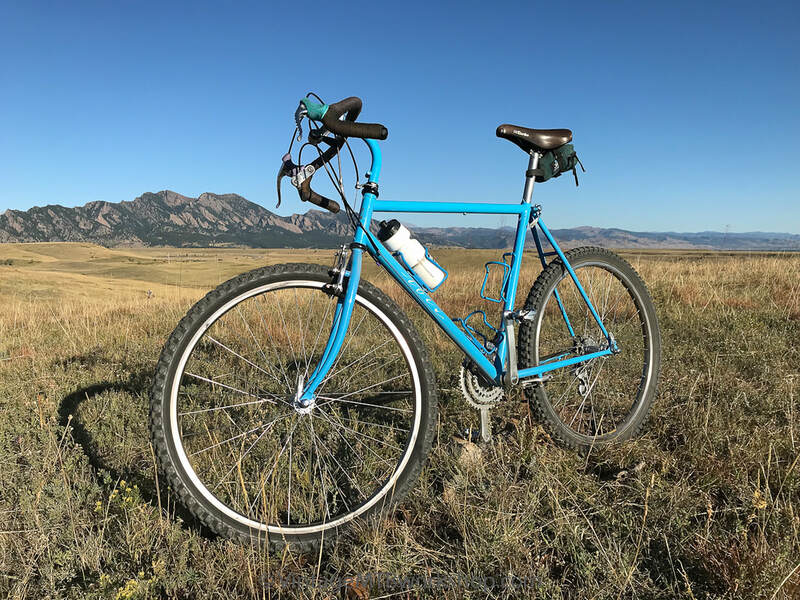 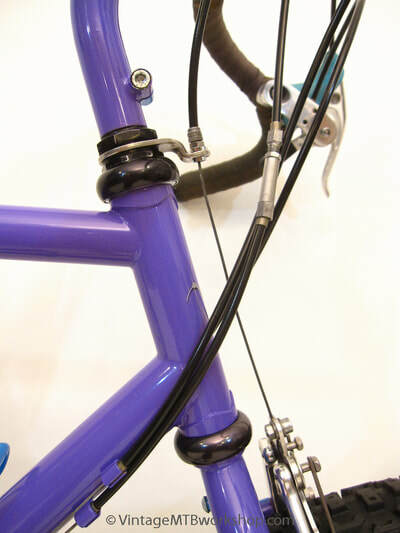 Scot also recognized from early on, after less than 30 fillet-brazed frames, the advantages of TIG welding for bicycle construction, resulting in light and responsive frames. 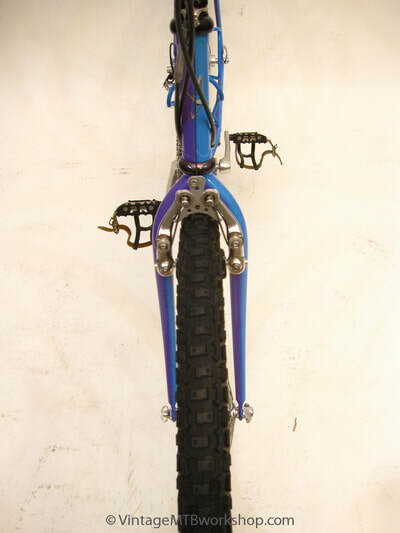 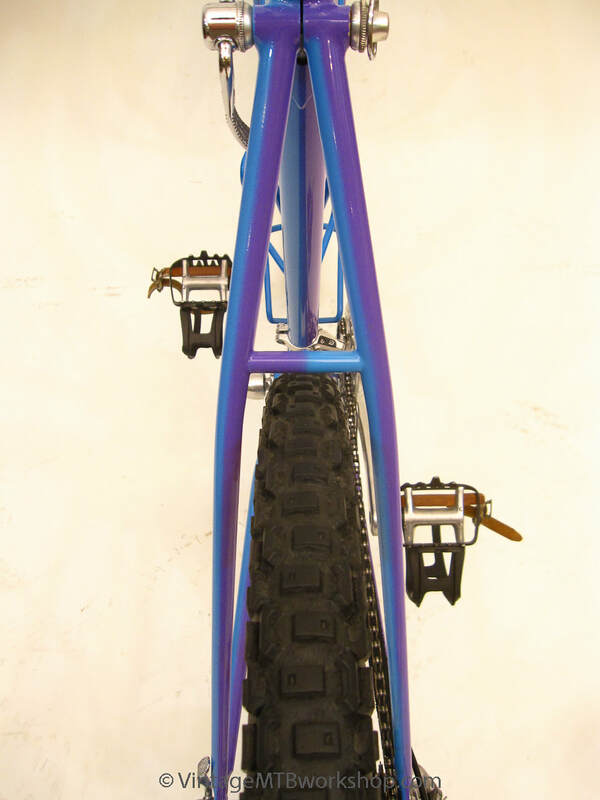 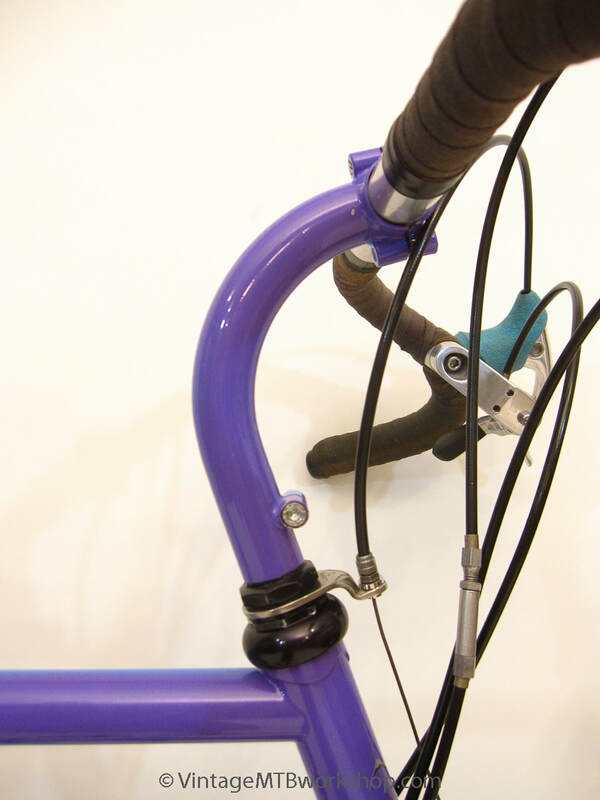 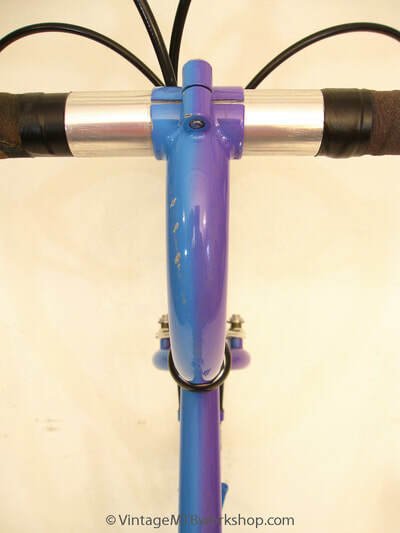 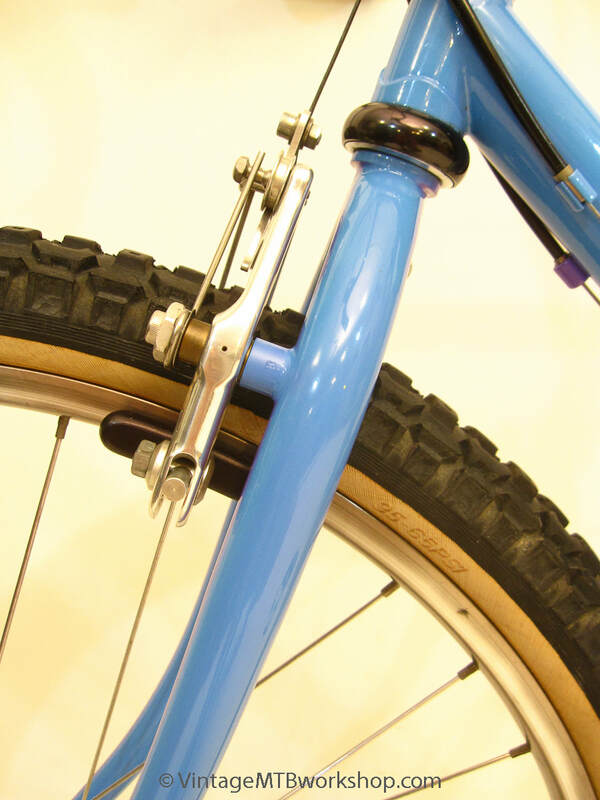 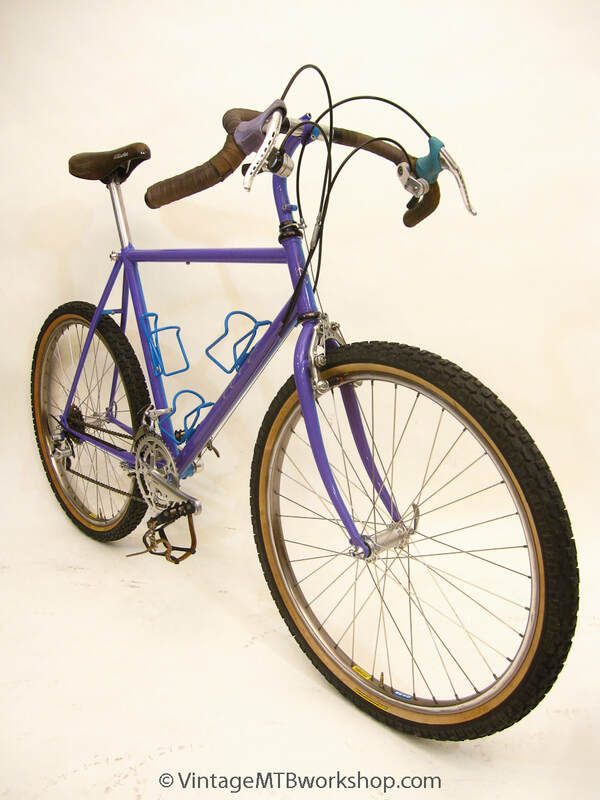 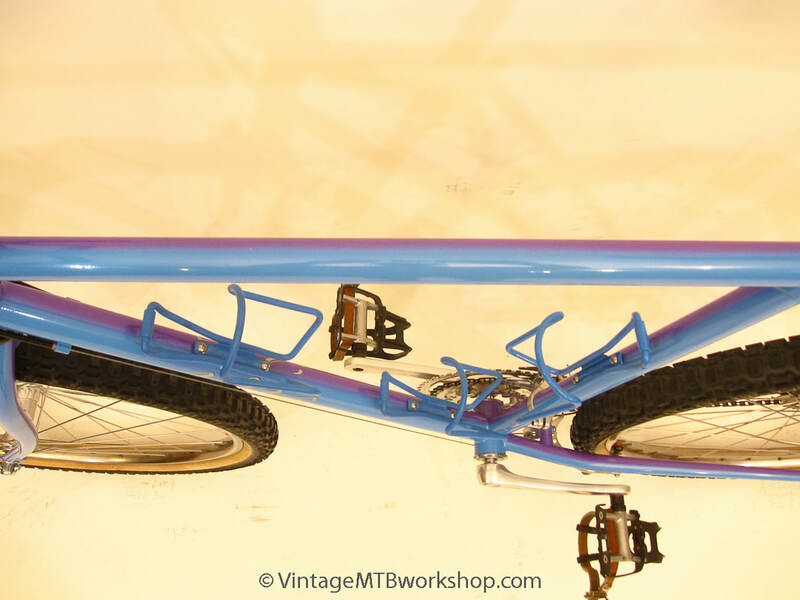 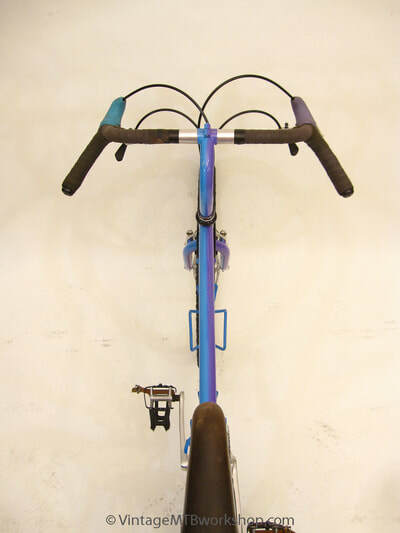 Ibis Cycles also became well-known for the longest and most even fade paint jobs in the industry, particularly as found on their standout tandems which provided the longest canvas. 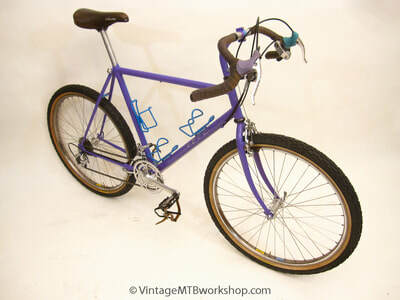 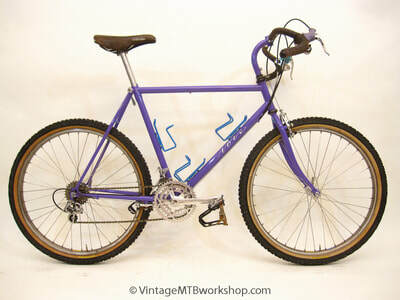 Ibis also did stunning harlequin paint jobs as found on this bike, which incorporates the team colors at the time of lavender and teal. 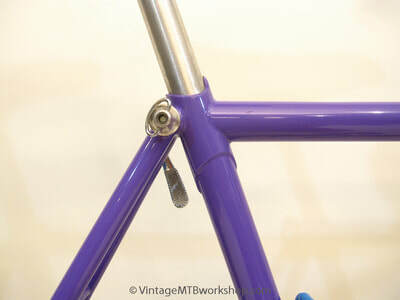 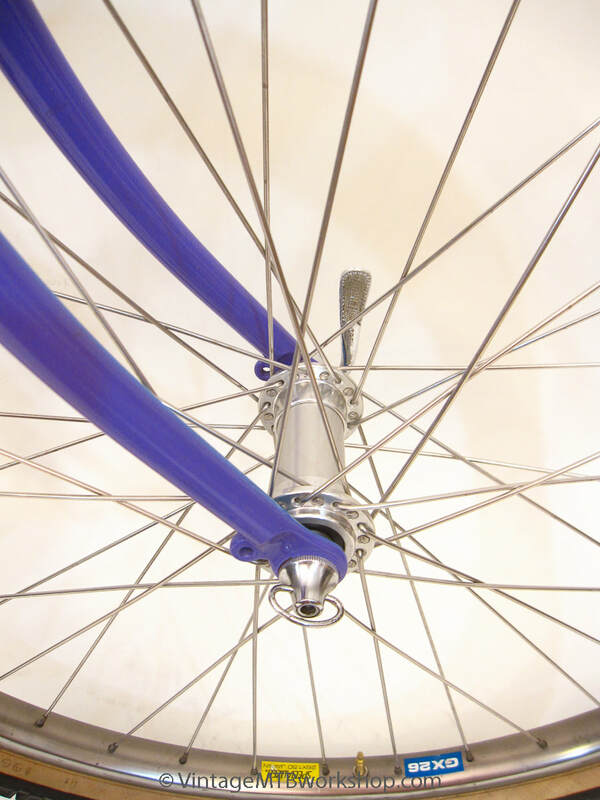 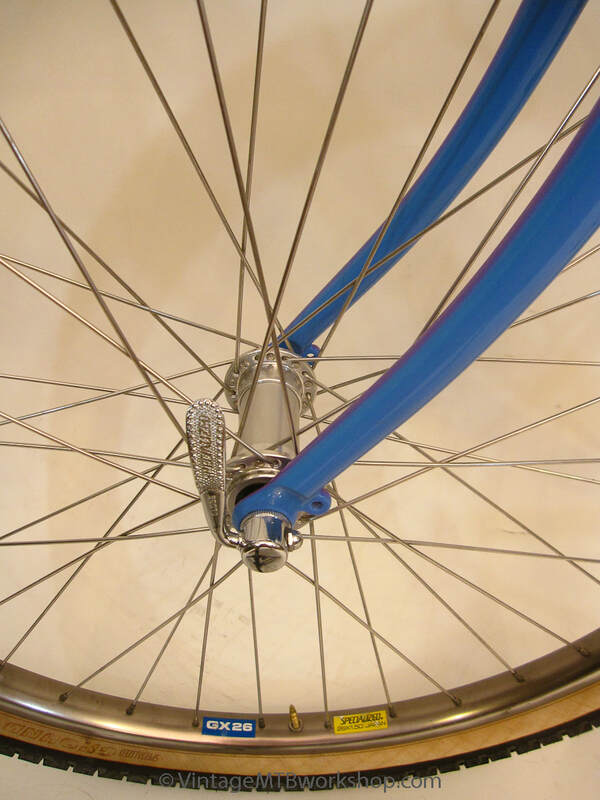 The division of the two colors is striking, with a precise transition straight down the middle of the frame, and taken out to the color of the two brake hoods. Coupled with superior brake modulation, the bike handles fast, technical terrain with ease.